Our favorite build to date. We'd move right in to this one. 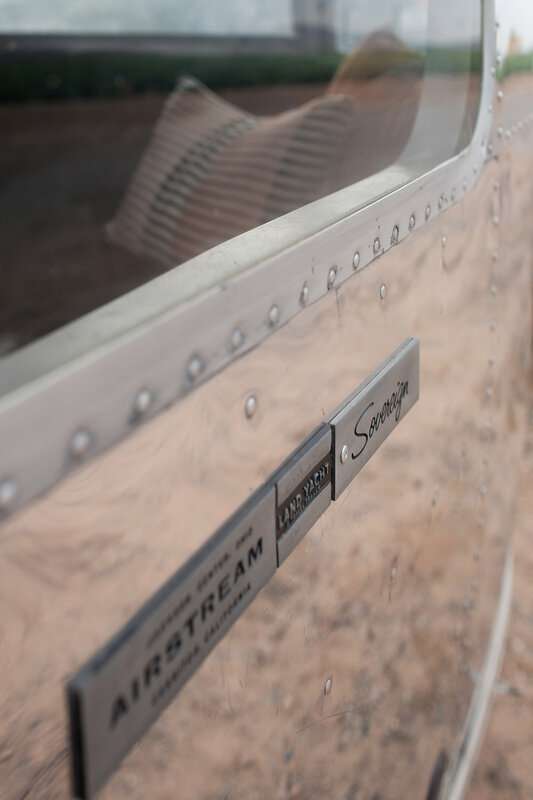 Despite being in the worst shape we'd ever seen, we were able to salvage an Airstream that had been neglected for a decade in the southwestern valley. We sanded out curse words that had been etched into the skin before doing a full mirror polish and waded our way through layers of dust in the inches to demo the interior. 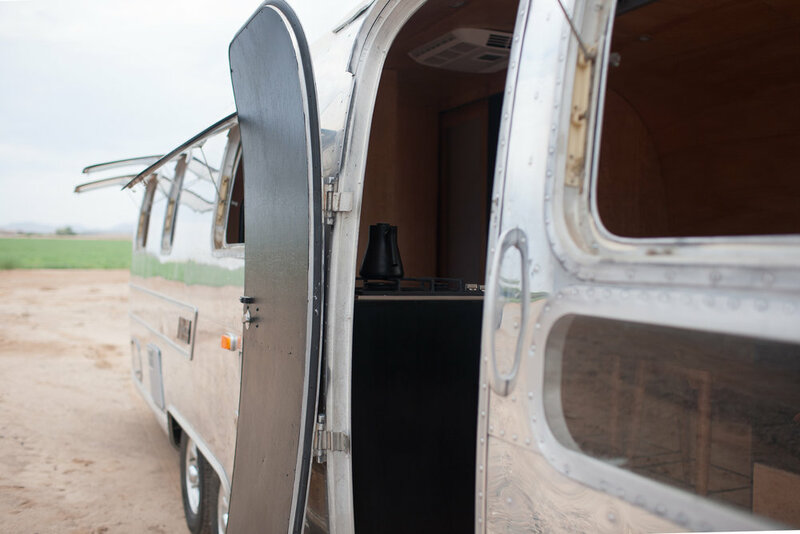 The vision for this trailer, which will be used as an occasional camper for a family of four, was to play homage to it's vintage lines while keeping the interior modern and clean. The plywood walls were labor-intensive and time consuming, but were completely worth every painstaking cut and placement. We chose a warm stain reminiscent of the ply walls of Spartan trailers from the 50s and protected the walls with a gloss poly-acrylic. We used several materials we'd not previously worked with outside of the ply walls, such as Marmoleum flooring and chose to fabricate the solid surface countertops ourselves to save time and cost. This Airstream layout consists of a sectional sofa that serves dual function as beds for the clients' two teenage daughters and a cozy hang space if the weather turns, a deep 30" bar with seating for two in the galley kitchen complete with pantry, two burner propane cooktop, sink, and AC/DC fridge and freezer. The bathroom is split, with two pocket doors for privacy: toilet and vanity on the curb side, 3"x5" shower on the street side. 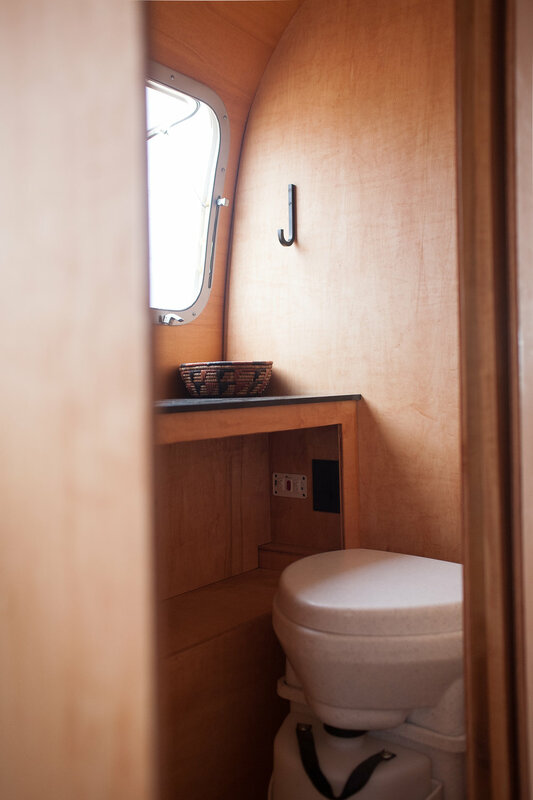 The bedroom is in the back with a hanging wardrobe that allows access to the water heater, queen bed, nightstands, and floating shelf with integrated bedside lighting.